Welcome to the forum, and thanks for taking the time to introduce yourselves to the rest of the crew. It's good that there are suggestions of what topics deserve my/your attention in this matter of introductions. It doesn't seem like it could be much easier than following the instructions. So here we go. First, I'm Mark Johnson, a very, very new member of Proto-Layouts. My wife, Laura, and I live in a home/cabin well up in the Sierras of northern California. We're both active in building our layout although this is her first try at planning and building a design, while this layout is my fourth. My folks bought a Lionel set, powered by a Berkshire 726, for my brother and me for Christmas in 1952. At that time we lived in San Diego, one empty field away from the San Diego & Arizona Eastern Railway's branch line (the Orange Line) to El Cajon. Between Lionel and the real thing I never lost interest in railroads of some kind, an interest that has never waned. We are proto-lancing the SP narrow gauge line, generally focusing on the part of the line south of Hawthorne, Nevada, down to its connection with the Jawbone branch in Owens Valley. Our focus is on the steam/diesel transition era. The setting will encompass western Nevada, Tonopah Junction, Montgomery Pass, and Owens Valley, as well as some gentler, less deserty, landscapes. We're building an HO 12'x35' around-the-walls design, called the Sandia Springs and Mirage. It includes a short branch known as the Laura Lines, an extended wine distributor. ;-) The benchwork should be finished in May or June with a 'Golden Spike' ceremony marking the completion of the first around-the-walls line in July. The remaining track installation is expected to require a schedule lasting well into 2013 or longer. While we're beginning with a single around-the-walls loop, we may later add a second, upper, level if everything works okay. We're most interested in realistic operation of the layout, finding others who share an interest in model railroading (there are surprisingly many), and construction of quality structures and scenery. The least enjoyable part of the railroad has been learning the electronics of DCC, but what can you do? We're installing our first DCC system, an NCE Power Cab. We expect to upgrade it to include an SB3a Smart Booster that should make it easier to handle the extended runs of our layout design. Laura and I are enjoying almost twenty-five years of marriage, and she also enjoys trains, especially designing and building scenery. What are the odds you would find someone with such similar interests? I dare, I dare, and would like some help making this shot, or my SP logo, into an avatar. Mark, your avatar is all set up for you. Thank you, Rick. That photo is even less pleasant than I remembered, but the other half of my team says she likes it. A lot. Just joined. My name is Matt. I've been active on a few other model railroad sites. I live most of the time in Anaheim CA. But during the summer I'm usually out in Bayfield, CO. I model in G, O, and HO scales. In addition to model railroading, I like to collect Santa Fe railroad memorabilia. The G scale layout (Snowshoe & San Juan) is based on the D&RGW narrow gauge during the late 1940s to early 1950s. The O scale layout is a generic Santa Fe layout set sometime in the 1950s. The HO scale layout is a Santa Fe layout set in Southern California during the late 1950s. It goes from orange groves to the Mojave desert. Dean P. here, from the northeast side of Cleveland, but grew up in Florida. I've been involved (off-n-on) for about a decade. I am definitely freelance, but focuses on the southeast railroads. Currently I have the "dreaded" 4x8, HO scale layout. I'm currently using DC but am about to convince myself to switch to DCC (can't decide between the Zephyr and it's built in IR capability) or NCE PowerCab (and it's ease of use). While I enjoy "running" trains, I get as much out of building the models - both on and off the rails. Other hobbies include amateur astronomy (when it's not cloudy) and hex-n-counter wargaming. I've been married for 16 years and have two kids: our son about to start high school and our daughter now finishing up 4th grade. Hello my name is Matthew Curll and im from Eastern Pennsylvania. I came over to here because of the atlas forum's closing down. I model a freelanced HO Delmarva Central that operates all of the NS secondary, Bay Coast, and Delaware Coastal railways. My railroad also has trackage rights up the Port Road and down to Baltimore. I also model the 1950s PRR & Reading. I am a member of the GATSME model railroad club. And have Modules of a fictional steel mill in Salisbury, Maryland. Besides model railroading and rail fanning, I am a Volunteer Firefighter. ...the Espee will live forever...!! Hi everyone! I'm another Atlas refugee. I've been in HO model railroading since 1977, with particular interest in the BN/BNSF. I'm also an avid scratchbuilder and kitbasher of modern rolling stock. Looking forward to participating here. I'm Al Reibel, I live in Cambridge Springs PA and I've been a model rairoader for about 40 of my 50 years. I did take a couple extended vacations but it was alway HO until about 10 years ago. Then I went crazy and got into TT Scale! I don't have a proper layout (yet), but I have a 4x6 test loop and our club is building a 12 by 4 TT display layout (yeah, I'm not the only crazy one!) along with HO and N scale layouts. 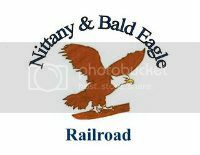 I am hoping to be pretty true to my favorite road, the Erie Lackawanna in the early 70's in NW PA. It's a little hard right now in TT but it's getting a little easier as we're slowly starting to grow. Thanks to today's technology we're getting more modern equipment and we're getting closer to RTR. It's still a builders scale, but I really enjoy it. I'm a little different, I'm not an Atlas refugee! I've visited it a couple times but for the most part I watch our forum (www.ttnut.com) along with a couple of Yahoo groups, Diesel Detailer and the D list. I am glad that this form is here so we can keep looking and posting at all the great modeling out there. I been modeling since 1978 and hope to do so for many years to come. If you have gone to the Amherst train show then you have seen me at the Dry Hill Model Railroad Club.Thanks again Railroad-Line Forums for being here. I'm a new immigrant from the soon to be defunct Atlas forum. I was one of the original forum members many years back so to be honest there will be some sadness to see it close. I live in North Vancouver and have a house also in Qualicum Beach. I model in N scale contemporary CP and CN, with interchanging with Soo and BNSF (out of Emerson). I'm building a double decker in a smaller room. I did moderate a number of years ago at Trainboard in the Layout design forum there, which I helped establish. I was also the one who started (invented) the layout parties at Trainboard that were thrown for the first 4 or 5 years. Due to medical problems and severe hobby burnout I wasn't active for roughly 5 years after that. A friend recently bugged me to work on my layout last fall and came over to help; it was like a light switch went off in my head and my interest in the hobby returned - I'm very happy to report. I also take RRing photos and other genre's as I'm a big photo buff back from 1973 with a Konica T3 purchased at the camera store on Government street in Victoria, while I was a Naval Officer out of Esquimalt. I'm currently active, but winding down a long career in the Cadet Instructor's Cadre (Army) as I will age out next February. I already will be familiar with some of the members who are active on more than one board. I also enjoy writing which I will be doing more of around model railroading shortly, and perhaps putting out some short stories around model railroading soon. Model railroading is fun, sometimes. More about me on my blog. A few years. I haven't gotten serious with the hobby until just recently. The Atlas forum kind of got me started after seeing pics of the nice layouts. Prototype as in my signature. 12 ft. x 12ft. U shaped. HO scale. from Bellefonte, PA to Pleasant Gap, PA. I like three things very much in life. My dogs, 1960's full-size Chevy's and trains. My interest in modeling lies in Chicago, Wisconsin and Minnesota, I lived in the Chicago area for nearly 40 years before coming the land of cheese and milk. I like to say that Wisconsin has more cows than people. My era is the early 70's. I totally love the Bicentennial. The special paint schemes the railroads used were fantastic. I have a strong interest in in Chicago commuter operations. You can't ignore the beauty of railroading along the upper Mississippi and I've done exhaustive research into the former Great Northern Mainline from the Twin Cities to Willmar, Minnesota. I like the 70's because a lot of the 50's and 60's still remained like depots, telegraph poles and certain diesels. This was taken in Willmar, Minnesota during October 1998.